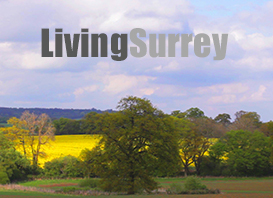 LivingSurrey is a new and unique multi-channel video and Television outlet providing original features, interviews, news and current affairs programmes for the county of Surrey. Wholly owned and managed by Republica Media, LivingSurrey produces a weekly show on Sky and Freesat, and publishes individual feature videos across an online network including this web site, YouTube, Facebook, Google+, local and regional web sites and more. You can watch LivingSurrey how and when you want - sit back for our half hour show on your TV on Sky, or watch on the train on your way home from work on your smart phone. Search YouTube and enjoy our programmes on your PC, or just browse through this website. Living Surrey is part of a new wave of TV, delivering relevant shows to you, at your convenience, on your chosen screen, and wholly focused on local content for your area. 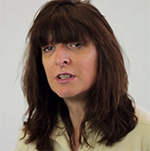 An experienced video producer, presenter and director, Amanda has worked for the BBC and has a long history in Journalism. Amanda is MD of Republica Media and responsible for all editorial output. 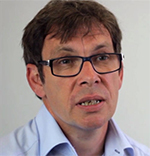 David has long been involved in the publication of specialist magazines and web sites and is an experienced internet expert having built and launched almost 100 web sites since 1999. David is a director of Republica Media and responsible for advertising sales and digital promotion. In addition to producing Living Surrey, Republic Media specialises in offering integrated marketing communications services to a wide range of clients. With a story-led approach, we aim to use both traditional and digital PR and communications, combined with branded content marketing, social media promotion and video to tell your story to the widest possible audience.